“Arab déshabillé from Grès.” Vogue, September 1963. Photo: Irving Penn. Caftans, long, loose-fitting tunics with origins in ancient Persia, have been gaining momentum as an alternative to more structured formal dress. With any luck, there will be some caftans among the goddess gowns at tomorrow’s Academy Awards ceremony. They say Tsarina Alexandra was the first westerner to make a fashion statement in a caftan, when she dressed as a seventeenth-century Tsarina for a costume ball in 1903. Paul Poiret also advanced the caftan cause, but it was not until the 1950s that the garment really began to influence western fashion. 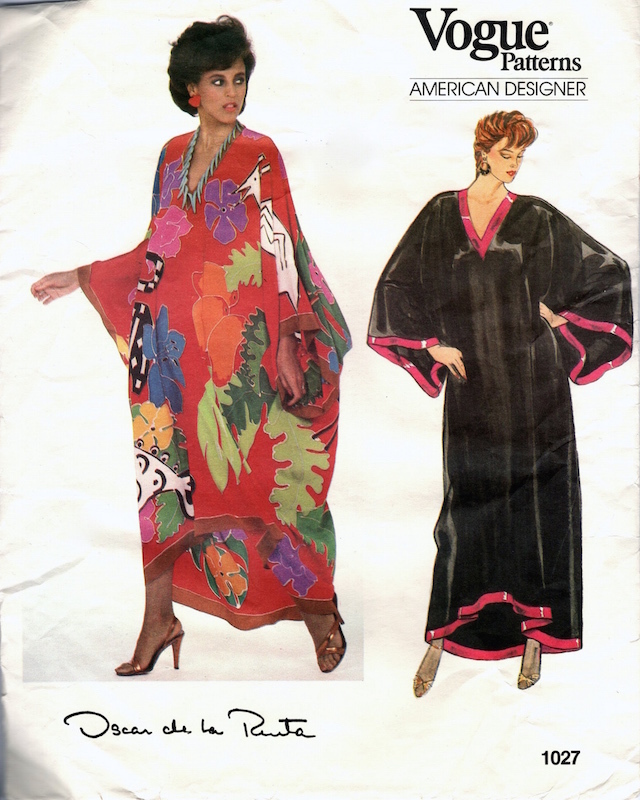 Here’s a look at caftan patterns from the 1950s to now. Tsarina Alexandra Feodorovna as the 17th-century Tsarina Maria Ilyinichna. From the album of the February 1903 fancy dress ball at the Winter Palace. Image via the Hermitage Amsterdam. Tsarina Alexandra’s Tsarina Maria Ilyinichna masquerade costume. Image via the Hermitage Amsterdam. A Dior caftan design on the cover of Vogue Paris, September 1, 1955. Illustration: Gruau. Image: Librairie Diktats. 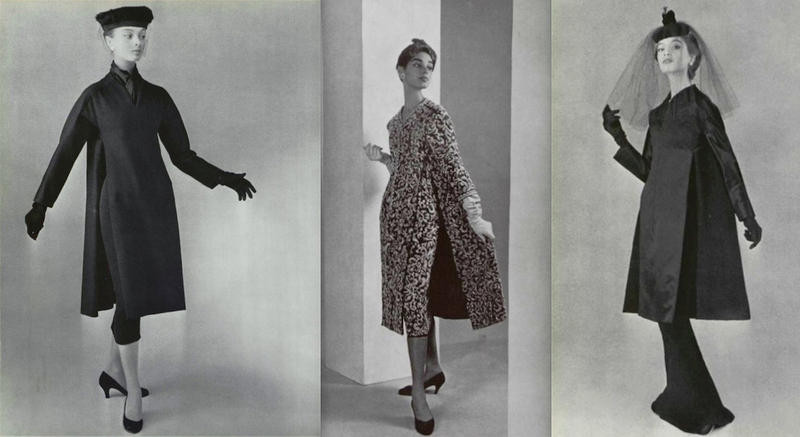 Three designs from Christian Dior’s Fall 1955 haute couture collection. L’Officiel, September and October 1955. Photos: Pottier. Images: jalougallery.com. 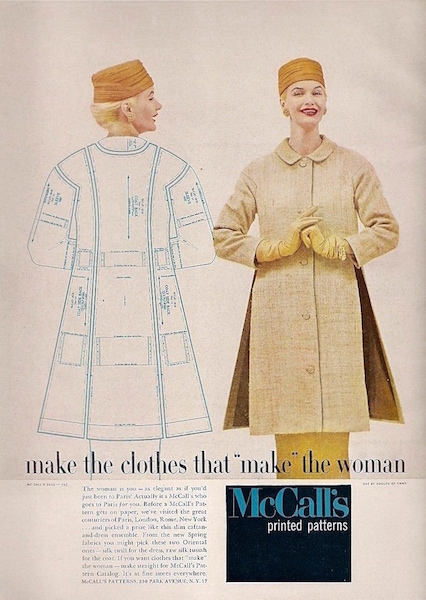 McCall’s 3525 (1955) Image: Etsy. McCall’s news, March 1956. Image: eBay. “Make the clothes that ‘make’ the woman”: McCall’s printed patterns ad, 1956. Model: Sunny Harnett; hat by Adolfo of Emme. Image: eBay. A Vogue version of the Dior caftan ensemble, Vogue 8759, is available as a reproduction from EvaDress. 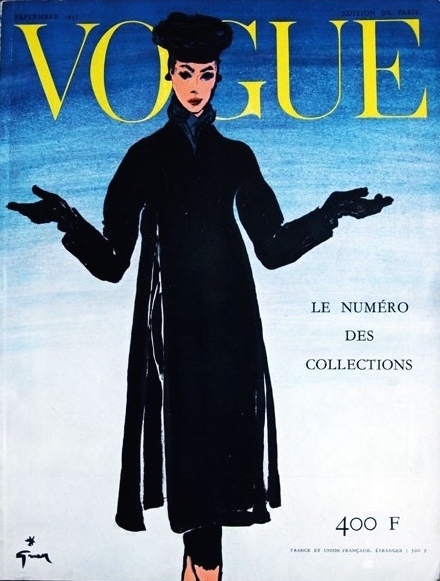 Vogue 1699 by Patou (1967) Model: Beate Schulz. Image: Vintage Patterns Wiki. Vogue 7497 (ca. 1968) Image: Etsy. 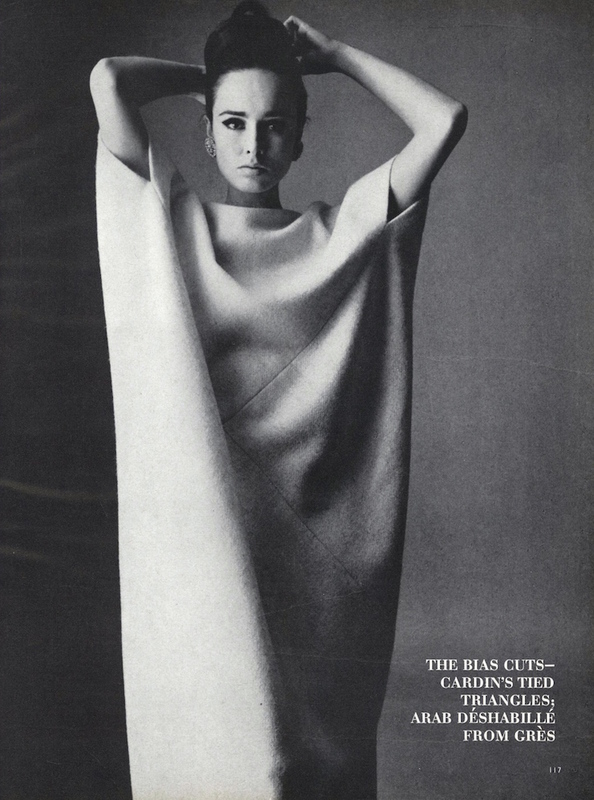 McCall’s 9026 (1967) Model: Veronica Hamel. Image: Etsy. 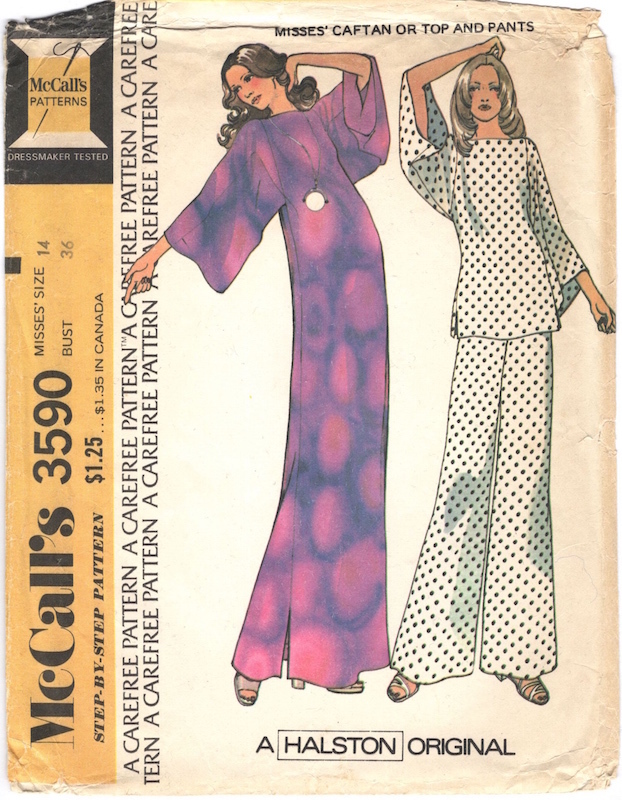 McCall’s 2377 (1970) Image: Vintage Patterns Wiki. 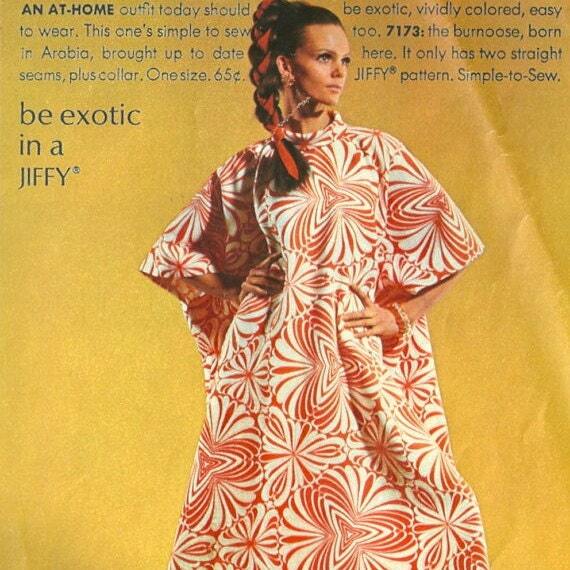 “Be exotic in a JIFFY.” Marola Witt models Simplicity 7173 in Simplicity Fashion News, July 1967. Image: Etsy. Vogue 1346 by Christian Dior (1975) Model: Billie Blair. Image: Etsy. Vogue 2315 by Issey Miyake (1999) Image: Etsy. 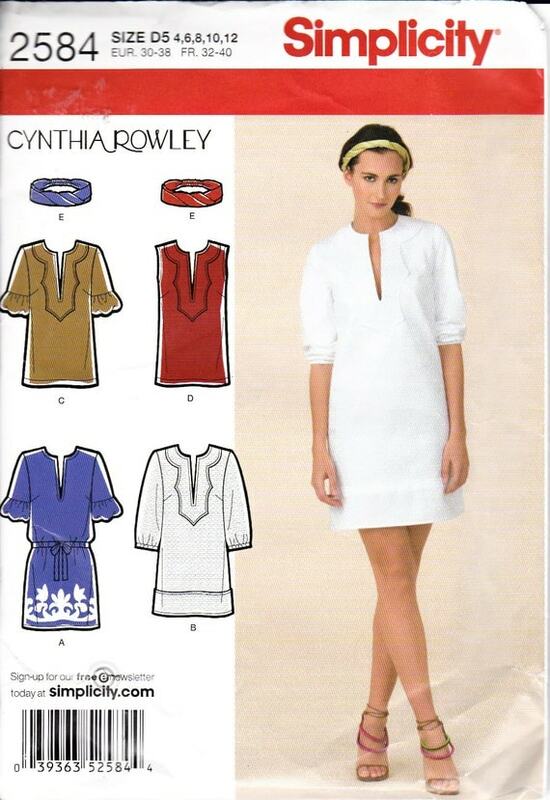 Simplicity 2584 by Cynthia Rowley (2009) Image: Etsy. Two caftans from the Chado Ralph Rucci Resort 2009 collection. Model: Alexandra T. Images via style.com. A caftan look from Matthew Williamson’s Spring 2009 collection. Photo: Jason Hetherington. Image: The Guardian. McCall’s 6552 by Nikki Poulos (2012) Image: Etsy. 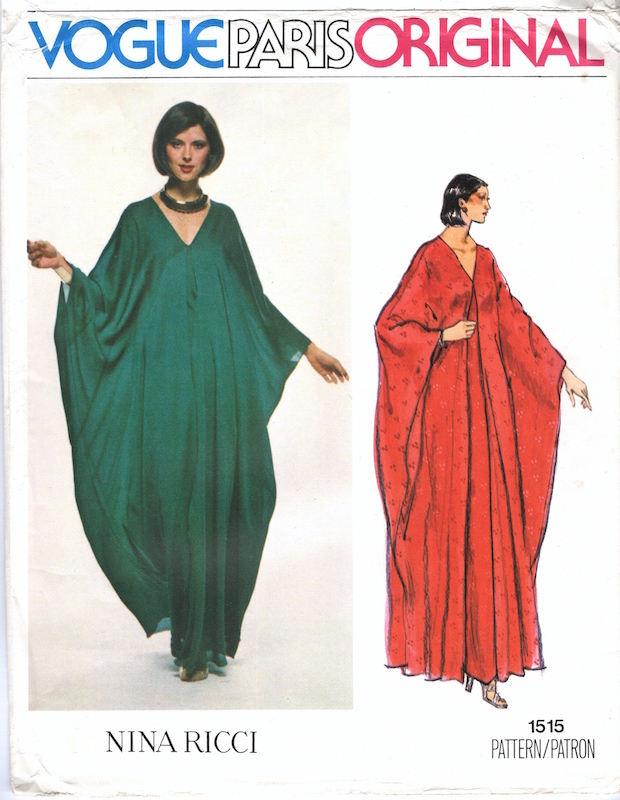 Would you sew a caftan? I love this post. So interesting and well researched. A caftan is a great way to let the fabric speak. Aren’t those patterns with bands at the neck inspired by the Indian kurta? Or maybe they all go back to the same inspiration. I bought several ‘Turkish towels’ in Istanbul with the intention of making something like mccalls 2377. I even bought the pattern off an etsy seller about a year ago as a house robe/beach coverup. In the Middle East Gulf states, similar things are quite common as around-the-house clothes (in contrast to the flowing black abayas for women or the crisp white dishdasha for men). But so far I’ve done nothing about making the actual thing! Maybe this reminder will push me there. Fun post. 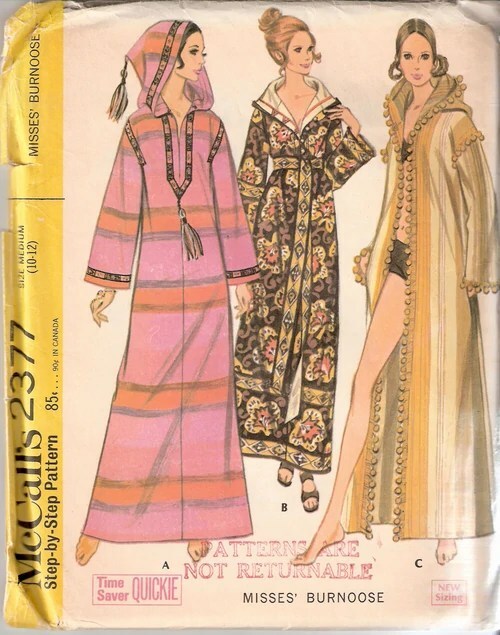 I made a fabulous caftan in the early 1970s (don’t remember which pattern) and wore it for years and years. It had a very large scale geometric print on a poly silky and the caftan was ideal for showcasing the fabric. 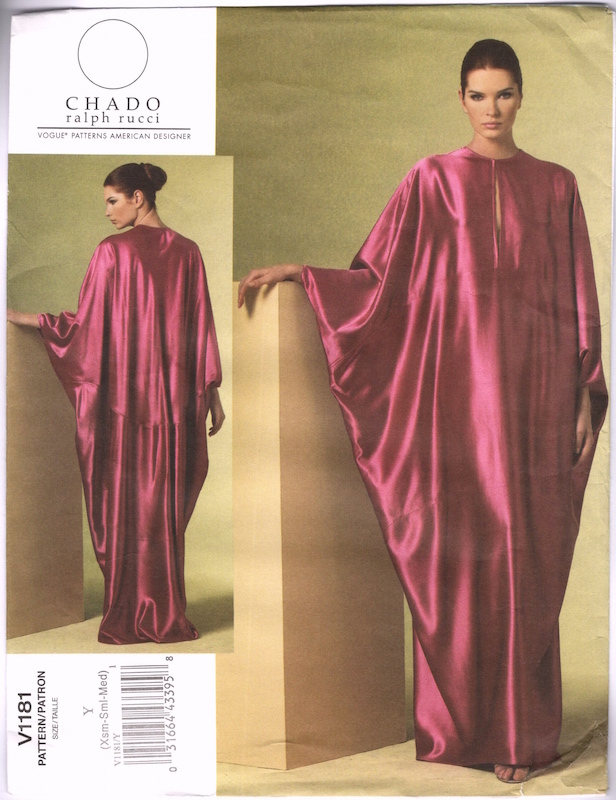 I’ve also made caftans as part of dance costumes, but that was in a traditional Middle Eastern mode, not a Western one. My favorite is the white Nina Ricci dress. Well done — It’s not always easy to decide what is a caftan and what is not. (I just read Harper’s Gallery of caftans). I associate the 1960s glamor caftan with movie star Elizabeth Taylor. A search for “Elizabeth Taylor caftan” will bring up lots of images. The patterns and images you chose for this blog posting were wonderful for showcasing the broad range encompassed by ‘caftan’ in apparel from dramatic and elegant to the beach fun cover-up. I thoroughly enjoyed the entire presentation, particularly the Chado RR images. What a great variety of caftan you have shown us, isn’t it great that they are popular at the moment? A caftan certainly would give you the opportunity to show off some beautiful fabric! Interesting post! Thank you! I’m loving caftans this year. They’re so effortlessly elegant, and the idea of all that gorgeous fabric enveloping the body and gliding over curves is delicious. I’m definitely going to be making a few from a vintage 1970s pattern I bought off Etsy for this summer.